Diagnostic phase: Even though this phase is mostly about sales, an application consultant is as busy in this phase, as in any other. The goal of this phase is to prove to yourself and to your customer that Microsoft Dynamics (NAV or other) is the right solution for them. This is done through a series of decision accelerators, most of which require active participation of an application consultant. Application consultant must gather the requirements, conduct the Process Review and Fit Gap workshops, because these two activities require extensive knowledge of the application. Also, during the Proof of Concept activity, an application consultant helps take the users on a journey through a prototype of their future solution. Analysis phase: Requirements analysis workshops require intensive engagement of application consultants. When you are talking to your customer about their processes and requirements, you truly depend on your application consultants’ knowledge of the application and of the business problems they are solving. Application consultants map customer’s requirements to standard application and define solution approaches. They also need to set up the application for, and conduct the key user training, so they should have good presentation/training skills as well. Design phase: Application consultants also design solutions for identified requirements. This doesn’t mean that they have to design data models or business logic (this is something that developers and technology consultants do), but they have to write the functional design documents both for new functionality (to explain the changes made to the system) and for existing functionality (to explain the system configuration which has to be made to achieve desired functionality). Obviously, at this stage they also have to define system configuration, and make sure it really works. They do it by setting up a system, and testing it thoroughly—it’s their responsibility to discover any hidden gaps between standard functionality and customer’s requirement, that wasn’t obvious during fit gap analysis itself. Development phase: As developers develop, application consultants test. They test application features, data migration accuracy and processes. They also have to prepare for deployment, and define test scripts and scenarios for final system testing and user acceptance tests. They must make sure that these tests include testing all relevant configuration settings. Deployment phase: In this phase, application consultants configure the production environment according to specifications they wrote earlier, and they assist key users in conducting system and user acceptance tests. If there are any train-the-trainer activities planned, they again have to train the trainers (those people who later conduct the end-user training). 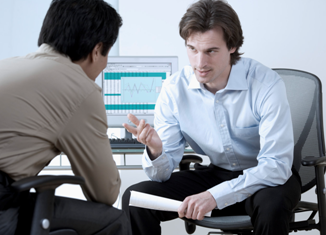 If a customer is small, application consultants might have to deliver the end-user training as well, which is a difficult task: they may face indifference, absentness, lack of interest, lack of cooperation, or downright obstructive behavior, so they must posses strong social skills and be prepared to handle issues and difficulties. Operation phase: After the system has gone live, application consultants have to work with the key users, and sometimes even end users, to help them master the new application. They must be well versed in both the application and logic of the business: they will have to correct a lot of errors that happened because users won’t just at once fully understand the application. An application consultant should also better be a heck of a good typist, or have a secretary to do the typing for them, because an they’ll have to write huge amounts of documentation in all of these phases. Functional specifications, analyses reports, design specifications, test specifications, user documentation, you get the picture. So, the job of an application consultant provides a lot of diversity and challenge, and will provide you with a lot of experience you can use in many other job roles when you get enough of implementing Microsoft Dynamics NAV. I’d dare say that not everyone can be a good application consultant. Being a good application consultant requires a few skills, and to find out which, come here tomorrow and read about top 5 qualities of a great Microsoft Dynamics consultant. See you!